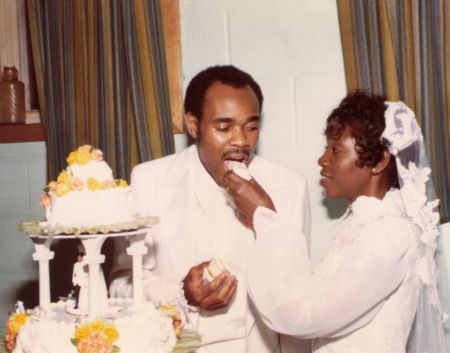 Love quotes were the start of my lifetime romance with Ruben Warren, my husband of 30 years. I remember when Ruben and I started dating. I had known him before because when I was a little girl we went to the same church. He was 15 years old and five years older than I was so we didn't really associate or travel within the same circle of friends. I would often wonder what it would be like to talk to him, you know, kind of a little girl crush. But he never gave me a second look. I guess it was because I was only 10 years old. Over the years we lost touch. Luckily, my family was still in contact with his grandmother so through her we met again over a decade later. However, unlike when I was 10 years old, I was not impressed after having met him again. He wasn’t my type. Eventually though, we were reminiscing about the days when I was the rowdy little 10 year old who was always getting into fights for my younger sisters. Today we still laugh about me turning the church corner one day covered in dirt and scars. My hair was often all over the place. Yes I was often defending my younger sisters or getting into some kind of trouble. Sweetest day was an interesting day because on this holiday Ruben came bearing gifts. I wasn’t in the habit of taking gifts from men when we were not in a relationship, but since it was sweetest day I thought a little candy might be delicious I love chocolates . Well, I didn’t get chocolates! I tried to hide my disappointment until he left. I remember complaining to my sisters later on that night, “he brought me a ROCK,” I said. I felt like everybody else gets candy and flowers for the holidays for Valentine's Day or for sweetest day holidays, and I get a ROCK. Needless to say he wasn't high on my list as a boyfriend. But time has a way of changing your heart and your mind. Ruben and I have been married 30 years now and we have two beautiful daughters and two handsome sons. We’ve also been blessed to have a beautiful 4 year old granddaughter. And by the way I kept that rock. It was actually a beautiful marble stone with a poem printed on it entitled “footprints” you can find it in my list of holiday poems and holiday quotes. My husband and I have shared many wonderful times together and we’ve shared lots of heartache. Through it all we’ve learned to depend on God and we’ve learned to lean on one another . We’ve been encouraged by many wonderful inspirational love poems, sweet love stories and true love quotes . Enjoy these quotes and let them touch you throughout your journey. What a wonderful feeling to be young and in love and having a feeling that all of your wishes and dreams are close to coming true. Share love quotes today with someone you love. Click Below for love quotes. And feel free to share your stories with us. We’d be thrilled to hear from you.